The rising incidence of venous leg ulcers has emerged as a serious clinical problem worldwide, draining substantial financial resources. While it is possible to treat a majority of ulcers using compression bandages of moderate categories, physiotherapists often recommend pressure bandages for 2 to 3 days to reduce swelling and pain in cases of acute injuries. As per a study by Circulation Foundation, 2015, venous diseases are underlying cause of nearly two-third of all leg ulcers. The study also revealed that arterial disease and other causes such as rheumatoid arthritis and diabetes account for a significant number of leg ulcer cases. Therefore, the rising prevalence of diseases that can cause leg ulcers is a key factor fuelling the adoption of pressure bandages. This is expected to give impetus to the global pressure bandages market. According to studies, obese population are at a greater risk of developing vascular diseases. Therefore, the use of pressure bandages is significantly high among them as they try to protect themselves against venous disease. Considering this, the demand for pressure bandages is expected to rise in response to the increasing pool of obese population. Other than this, the rising incidents of chronic wounds is expected to increase the use of pressure bandages, thus enabling the market record an accelerated pace of gains. Also the increasing cases of foot ulcer are likely to fuel the demand for pressure bandages in the coming years. Some of the leading companies operating in the market are focusing on expanding their line of products to gain competitive advantages. Over the last couple of years several prominent manufacturers have shifted their focus towards introducing advanced wound management treatments and techniques. These products are likely to have greater ability of absorbing moisture thereby increasing the rate of healing. Such strategies adopted by the key players are likely to bode well for the global pressure bandages market. Pressure bandages, also popularly known as compression bandages, are dressings used as first-line of treatment to stop severe blood loss from a wound in emergency situations. The application of pressure helps in the prevention of excessive blood loss as well as any buildup of infections, and further assist in normal blood clotting. These bandages are preferably used for limbs as they allow better application and may be critical in saving lives in traumatic wound injuries before any professional help arrives. Pressure bandages are made of natural latex so as to avoid any allergic reaction to patient’s skin. They rose in popularity among militaries and Special Forces in war zones in various parts of the world where they became a choice of first aid in the management of traumatic wound injuries. The drive for pressure bandages stems from the substantially rising application in preventing hemorrhage. The rise in traumatic sports injuries and accidents causing profuse loss of blood is a notable factor bolstering the demand for compression bandages. The promising application of pressure bandages in the treatment of venous leg ulcers is a significant trend accentuating the market. They are initially preferred by physiotherapists for most acute injuries for reducing swelling. Pressure bandages have emerged as the matter of choice in a wide variety of venous leg ulcers among populations, especially in developed nations. The compression therapy used in pressure bandages is a clinically proven way for improving the venous function without affecting arterial function. Advances in expertise in using the therapy will open promising prospects in the market. In standard medical practice, pressure bandages are considered as the mainstay of treatment in venous leg ulcers management. Venous disease of the leg is the most common cause of all leg ulcers world over. In worldwide healthcare markets, a number of companies are focusing on developing cutting-edge technologies for improving the effectiveness of treatments for venous leg ulcers. Such initiatives are aimed at reducing the considerable burden venous leg ulcers exert on healthcare system, especially in developing and developed countries. In the U.K., this is greatly supported by venture capital firms who are making large volumes of funding to private companies and their efforts are based on publicly-funded research. UK Innovation & Science Seed Fund (UKI2S), an early-stage venture capital fund has in March 2018 sought to invest in seven companies. The investment is made under £8.5m investment accelerator, Innovate UK, supported by in-grant funding and equity from the U.K. government. One of the companies benefitting from the governmental funding is SFH Oxford, a company actively pursuing innovations in treating venous leg ulcers. The company is developing a sensor-powered technology that will be instrumental in improving the application of compression or pressure bandages. This will greatly help in enhancing the efficacy of pressure bandages for treating the leg ulcer and reduce the morbid effect it has on the patient’s quality of life. Some of the key regional markets for pressure bandages could be North America, Latin America, the Middle East, Asia Pacific, Europe, and Africa. Of the various regions, North America is expected to be a prominent market. The demand for pressure bandages is fueled by the rising prevalence of diabetes in the regional population. Coupled with this, the growing morbidity of venous leg ulcers in the patient population is also favoring the growth of the regional market. The wider availability of products and the substantial technological advances made in treatment modalities are notable factors driving the growth of the North America market. A number of players are launching products that can be conveniently applied and provide uniform compression. The products developed can be made to be effective for extended time period. Several companies are also focused on developing innovative technologies for compressor bandages to gain a competitive edge over others. 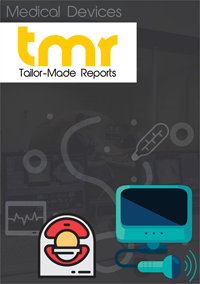 Some of the top players operating in the pressure bandages market are BSN Medical, Tytek Medical, Persys Medical, Johnson & Johnson, Cardinal Health, Inc., ConvaTec, Inc., 3M, Smith & Nephew, and Medtronic Plc.